I’ve spent my last couple blog posts looking at the elements that make up good narrative nonfiction. Last month, I talked about crafting good plots, and the month before that, I tackled some pointers for writing good characters. Today I’ll add to that four tips for using voice to tell a great narrative nonfiction story. The voice of a story can be a hard thing to describe, because it’s essentially the sum of all the choices you make as an author — the words you pick, the way you construct your sentences, the rhythm, the imagery, the point of view you use, the way you choose to let your scenes unfold, the tone you take. There are as many different voices as there are authors and stories in the world, and countless different voices that could be used to tell even the same story. But whatever voice you use to tell your story, it should be deliberate — reflecting conscious choices that will set the tone for a satisfying story and help the reader feel what it is you intend them to feel. In narrative nonfiction, there are a few things that voice always needs to do. 1. Your voice must convey authority. It shouldn’t feel like a lecture or talk down to the reader, of course—that’s not what I mean. You do want to inform your reader, but you want do so by telling a story, not by lecturing. What I mean by “authority,” rather, is that your voice needs to communicate to the reader both that you know what you’re doing as a storyteller, and that you know your subject. I’ve already talked about some ways that you can convey to the reader that you know what you’re doing as a storyteller. When you are intentional about what scenes you include, and when you use those scenes to develop a compelling character, the reader can trust that the story is in good hands and that you’re telling it with a purpose. In narrative nonfiction especially, though, your voice must also convey authority by letting readers know that you know what you’re talking about. This comes, obviously, from doing your research. You need to be able to convey setting and cultural context. Your voice needs to convey to the reader that you know the character’s world — and that you’re a good guide to take the reader there. 2. Voice conveys authority best by showing, not telling. Henri walks around the city, gathering ideas for his pictures. He goes to the World’s Fair, where a man named Eiffel has built a latticed tower of metal rising several hundred feet into the air. What thrills Henri most are the fair’s exhibits of villages from distant lands. They remind him of adventure stories he loved when he was a boy. Days later, Henri can still picture the plants and animals from faraway places. He holds his paintbrush to the canvas. A tiger crawls out. Lightning strikes, and wind whips the jungle grass. Sometimes Henri is so startled by what he paints that he has to open the window to let in some air. 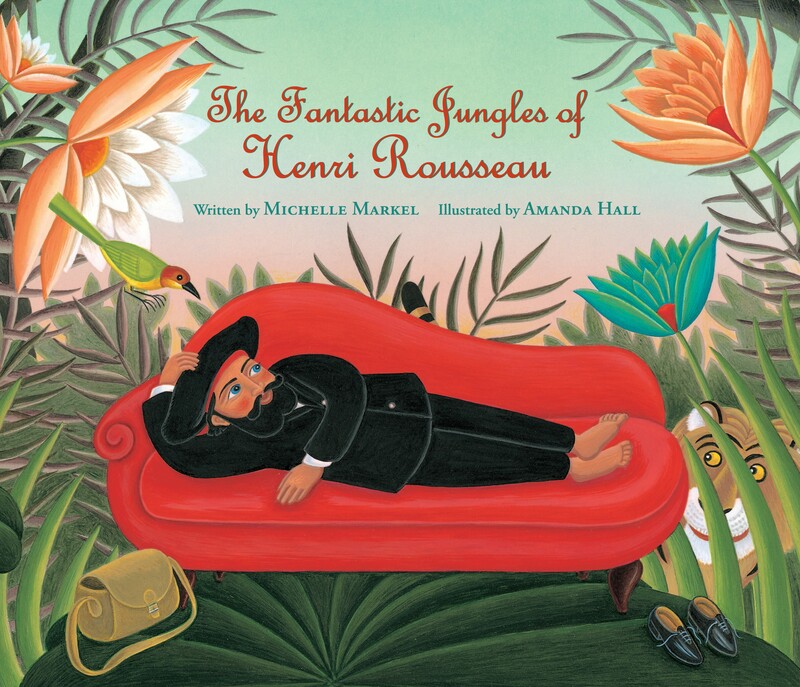 Notice the way that Michelle Markel’s voice in this passage captures both Henri’s excitement about faraway lands and the vividness of his imagination — without ever needing to say that he had a vivid imagination. 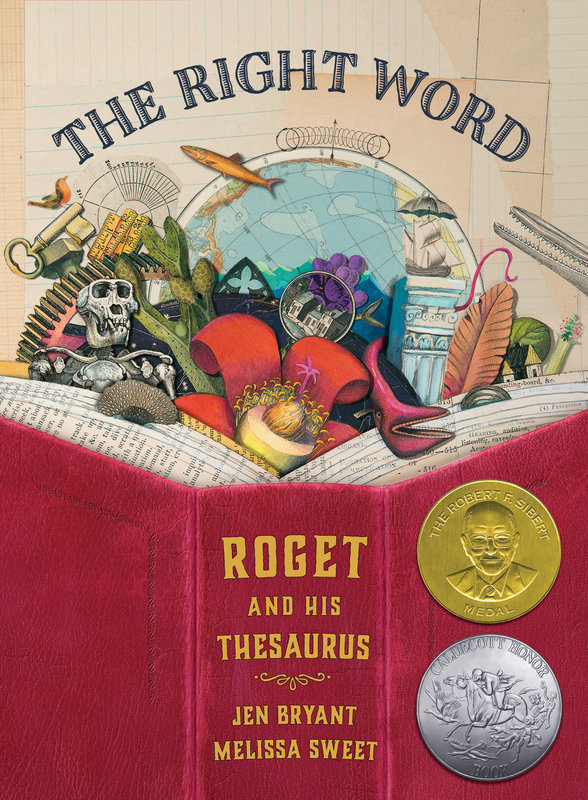 The concrete details — the adventure stories that the young Henri once read, the exhibits at the fair, the vivid sensory details that describe the painting — let the reader know that the narrator is familiar with Rousseau’s interior emotional world. They also demonstrate that the author knows well both the world of Rousseau’s paintings and his historical setting — in this case the World’s Fair and all the wonders it brought to Paris in 1889. These details help us trust the narrator’s authority. 3. A narrative voice should be appropriate for the subject and the intended readers. World War II started when the Germans and the Russians went into Poland, the Germans from the left and the Russians from the right. They stopped exactly in the middle, where they drew a line. “This half is ours now,” the Germans said. “And we’ll take the other half,” the Russians said. Poor Poland! From that day on, the country as everyone knew it no longer existed. It was a divided country with a “peace border” running right through its heart. That was what the Germans called the new border. It was a funny kind of peace, though. Obviously, there’s a great deal more that happened to start off World War II. But this passage by Bibi Dumon Tak, with its very distinct voice, tells readers what they need to know — and it captures a lot of emotional truth about the situation, as well. 4. Your voice should use vivid, intentional language. As an editor, I’m always on the lookout for this. Does the writing strike a great balance between lyricism and clarity? Is there personality? Does the author use great imagery that fits the subject matter? Take, for example, the first page of The Right Word. Peter snuggled deeper into Uncle’s lap as the carriage clattered through the valleys of Switzerland. Baby Annette slept in Mother’s arms, a small pink blossom against a wall of black. Notice Jen Bryant’s wonderful verbs — snuggled and clattered. Notice the wonderful sound of “carriage clattered” and the way the image of “a small pink blossom against a wall of black” immediately sets up the fragility of Peter’s early life. You don’t need to make your language too extravagant or poetic — there’s no need to overwrite — but do make it vivid. All of the choices you make in crafting the voice of your narrative nonfiction should work together to draw the reader into the story, helping them to understand an unfamiliar world and to more directly experience the character’s story. These narrative nonfiction posts have been spectacular! Thank you so much for this series. Great info just when I needed it. But a question – Soldier Bear uses dialogue. Is this narrative NF or historical fiction? Where do you draw the line? Would love more information on the boundaries of narrative NF. Thanks! Thanks for your question! Making a distinction between historical fiction and narrative nonfiction can be tricky sometimes. And I’ve seen a lot of different ideas about whether or not NNF ought to include dialogue—ranging from the idea that dialogue is an important literary tool for the NNF writer, to the idea that including any dialogue at all automatically makes a book fiction. I tend to think dialogue can be valuable for telling a nonfiction story—but I’d certainly advise authors to use it judiciously, and readers to remember that dialogue is an authorial tool rather than historical fact. Soldier Bear is a book that perhaps falls somewhere in between fiction and nonfiction, generally taking more liberties than the other books I mentioned. It’s interesting to note that the Library of Congress classifies it as fiction. But at the same time, Soldier Bear is a depiction of actual events and people—the author is crafting real life into a story, rather than inventing her own story. And I think that is really the main difference between NNF and historical fiction. This has been a great series. Story and narrative are as important in nonfiction as fiction. The books you’re using as guides are fantastic, too. Thanks. i love, love, love this series. I reiterate Beth’s question above. Very interesting; very informative. And inspiring!